Click here to learn how to set up a Messenger Customer Chat Widget on your website. 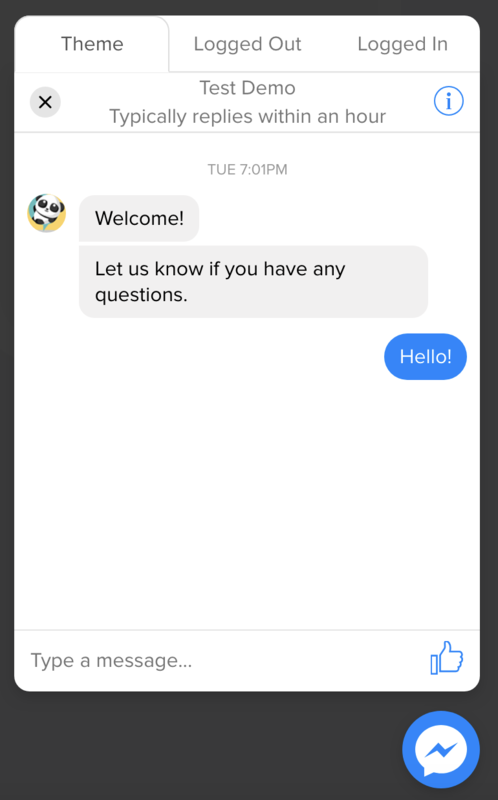 Did you know you can interact with your customers inside the Messenger on YOUR website? Introducing our "Customer Chat" widget! 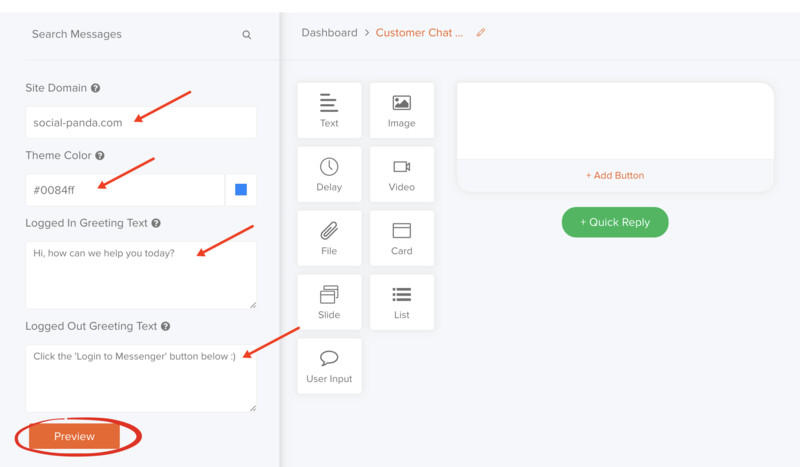 The customer chat widget allows you to interact with visitors on your website with the same interactive, media-rich experience they get inside Messenger. This is going to help you to not only engage with more people, but build bigger Messenger subscriber lists (faster than ever before). 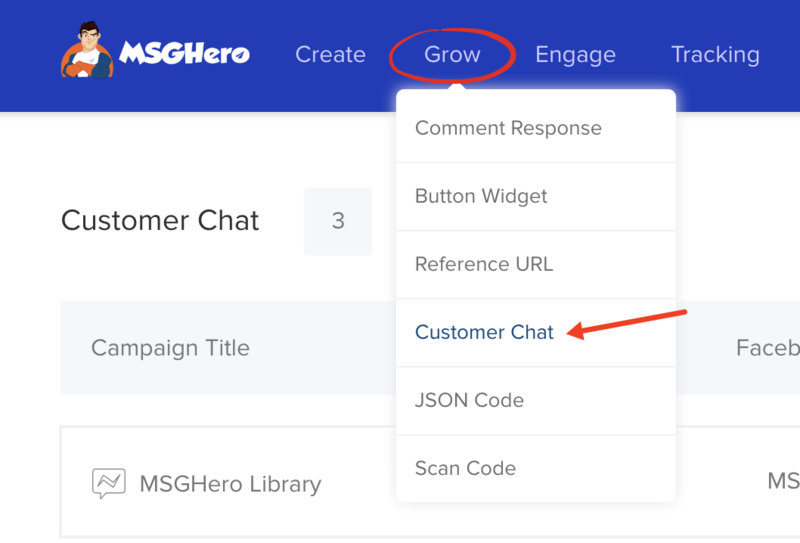 Click on "Grow" in the top navigation menu and select "Customer Chat" from the drop-down menu or alternatively click here to go straight to the page. Click on "+ New Customer Chat" orange button in the top right corner. Select the Facebook page for which you want the visitor to interact with on your website and enter a campaign name (for your personal reference only). You'll then be redirected to a page where you can edit your Customer Chat widget. Site Domain: This is the site where you will insert the Customer Chat widget. It must be in "website.com" format (without http:// and without https://). If you try and place this customer chat widget on a different website, it will not work. Theme Color: This is the color that will be shown on the customer chat widget as well as in the customer chat widget conversation. You can customize it to match your brand. 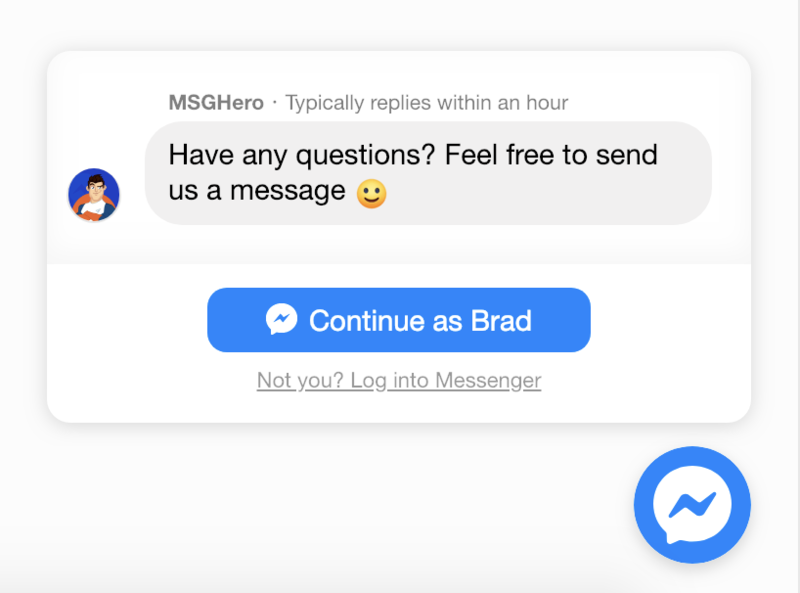 Logged In Greeting Text: You can customize the text shown to users if they are already logged into Facebook. Logged Out Greeting Text: You can customize the text shown to visitors who are not logged into Facebook yet. 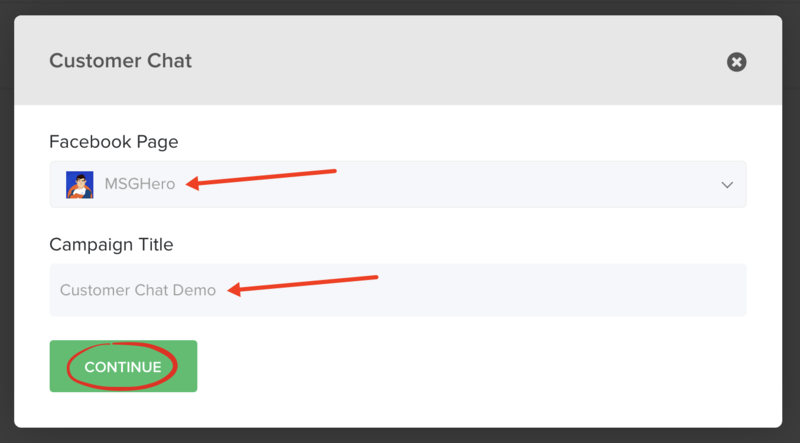 We even give you the option to preview the customer chat widget in ALL states once you've edited your customizations. Just click the "Preview" button at the bottom in the left column. Once you've inserted your settings, you can continue to set up your messaging funnel just like you would in any other part of the software. This will be what messages and messaging options will be shown to the customer inside the customer chat widget. For more information on setting up a messaging funnel (if you haven't created one before), you can continue reading here. Once you've set up your messages, click on "Publish". You'll be redirected back to the dashboard for the Customer Chat widgets. Click on the "Get Code" icon as shown below next to the campaign you just created. A pop-up will appear with your customer chat widget code. Copy this code and place this code into your website's HTML. It will automatically be shown to all users in the bottom right corner of your website once it is installed (this position is not able to be edited, it needs to be in the bottom right corner as per Facebook's guidelines). Have any questions about Customer Chat Widgets? Please reach out by clicking the orange chat widget in the bottom right hand corner :) We're here to help!